How To Get The Most Out Of The Lazuli Portals! Hint: We’re about more than simply writing and publishing our stories! 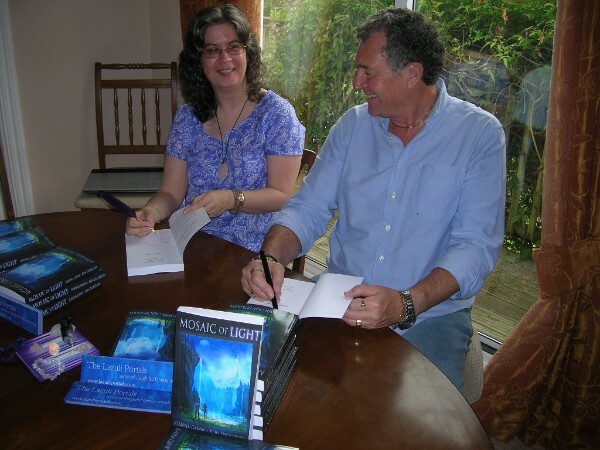 While ‘The Lazuli Portals’ is our partnership and business name, the words also represent the trilogy of novels that we’ve been writing: books about spiritual awakening, featuring stone circles, crystals, parallel worlds, synchronicities, and life-force energy. When it comes to writing, this is our first ‘calling’, and where our writing journey began. You can find out more about our books here. You can find out more about us, and how we teamed up, here. If you are particulary interested in soul connections, then we have our interview with Soulmate Experience here. Aligned with following that calling, we also offer some ‘bonuses’ on our website, little extras that Joanna created when she was running her Winter Jasmine Reiki business. Now that she’s focusing solely on writing, all those freebies have been incorporated into The Lazuli Portals website. 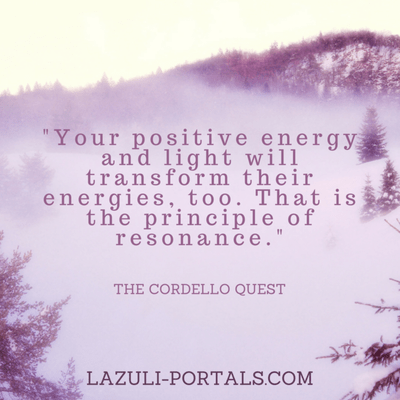 Also linking with the Lazuli Portals trilogy of novels are our Cordello Quest A-Z blog posts relating to concepts, ideas, and characters within the trilogy. So if you’re a fan of the novels, and like to explore ‘around’ the books that you read, you might enjoy those! So far we’ve written for the letters A-K, beginning with A is for Ascended Reikan, and ending with K is for Kaleidoscope. L is for Lovelight will be coming soon! Much as we enjoy writing about life-force energy, spiritual growth, and crystals, we are sometimes tempted in other directions, such as paranormal suspense; we also write flash fiction, poetry and haiku. If that’s up your street then you’ll find lots of micro-fiction and poetry on our blog. In addition, our little ebook Crystal, Fire and Water is free for Amazon Kindle and also available through Smashwords for other ereader software. If you enjoy short stories, then our collections The House of the Stormwind and other short stories and Dark Perfume: Tales of Light and Shadow are also available. For those of you who are fans of YouTube, then we do have our own channel, which usually gets updated when we launch a new book. Our clips include readings from our stories, and also an interview. If you enjoy book reviews, then take a look at our Recommended Read blog posts, some of which relate to fiction, others non-fiction. We may be expanding this series in the future to include guided meditation tracks and healing resources – and possibly colouring books for grown-ups! We don’t receive any financial recompense for any of the books or products we review: they’re simply shared because we want to. What about if you want to get in touch with us? Well, obviously you can leave a comment on any of our blog posts – but we’re also on Facebook and Twitter, sharing items we think will uplift, interest, or amuse. Or you can contact us privately through the contact forms on our website or blog, or reply to us when we send you a Newsletter (you can sign up for that here). Ron at Harewood House, waiting for opening time! Phew – putting all that together makes us realise what a lot we’ve achieved over the last few years! Are there any in the list that you didn’t know about – and are now glad that you did?! We hope at least some of what we’ve shared with you above will be useful to you. If you have friends or family who’d enjoy our ‘offerings’, please do let them know about us! We’re independent authors, so every positive share or recommendation is valuable to us! Previous Previous post: The Rudolph Promise + Festive Fun Frolics: Two poems for December! That sounds an interesting stone, Madison! I have a small rutilated quartz in my tumblestone collection, and find its inclusions endlessly fascinating. 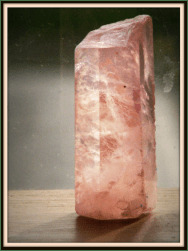 I like how some crystals find a home in a certain place and settle in. I haven’t been much involved with the blogging world lately and have called in to see what you’re up to. Wow! I’m impressed with all the things you’ve achieved and are involved in. I love the look of your blog and I’m going back to listen to your interviews on youtube. Great stuff, Joanna! Thanks Karen – there’s been a lot to do in addition to the writing, that’s for sure! Thanks for your interest in our YouTube bits and bobs!